Clare Mackintosh with Jaffe & Neale’s Patrick Neale and Polly Jaffe. 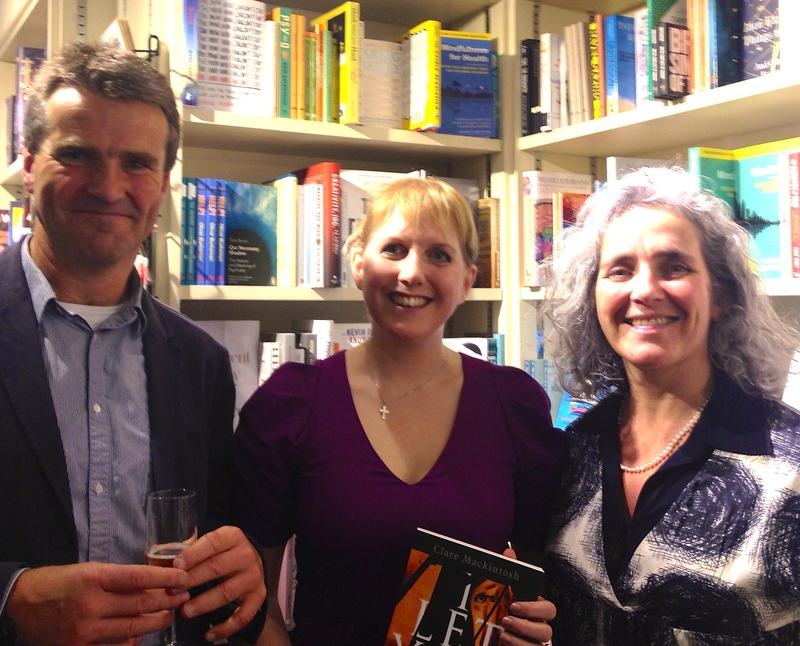 Last night saw the launch of a new book by local crime writer Clare Mackintosh at Jaffe & Neale. Clare, who is the director of the Chipping Norton Literary Festival, and who many in town will know from her days at Thames Valley Police, has been forging a successful career as a writer over the last few years, and now has a two book deal with Sphere. Her first book, I Let You Go, has now been published in eBook and trade paperback, with the formal paperback launch coming in April 2015. I Let You Go is a psychological thriller containing a “surprising and brilliantly executed” twist, according to Lucy Malagoni at Sphere. Crime writer Mark Billingham has described it as “a hugely assured and gripping debut”, whilst fellow writer Peter James has said it is a “terrific, compelling read”. This entry was posted in launches, local people and tagged Chipping Norton, Clare Mackintosh, crime, I Let You Go, Jaffe & Neale, Mark Billingham, novel, Sphere. Bookmark the permalink.